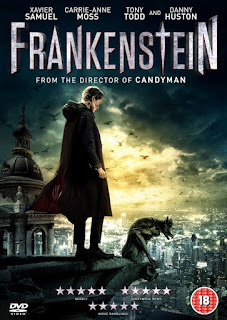 An unflinching modern-day re-imagining of a timeless classic, Frankenstein tells its tale entirely from the point of view of the Monster (Xavier Samuel) as he is created by a husband-and-wife team of eccentric scientists (Danny Huston and Carrie-Anne Moss) and then left for dead. Confronted with aggression and violence as he attempts to make his way in the world, the Monster must get to grips with the horrific nature of humanity as he searches for his own. Like his previous genre offerings, including Paperhouse (1988) and Candyman (1992), Bernard Rose’s Frankenstein is a compelling, fascinating and immensely thought-provoking yarn. Head over to Exquisite Terror to read my full review and win a copy of Frankenstein on DVD. 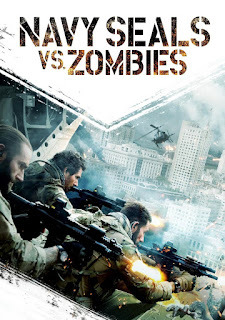 With its elementary plot-by-numbers, pallid execution and rudimentary story, Navy SEALS vs. Zombies is a highly unremarkable film indeed. It tells of a crack team of Navy SEALS charged with extracting the Vice President from a situation gone bad in New Orleans. What the team doesn’t know is that the ‘situation’ is a viral outbreak that turns the infected into flesh-hungry hoards of ravenous zombies. Even the appearance of Eighties action legend Michael Dudikoff, who features in a glorified cameo, can’t save the day, as this film ultimately possesses no discernible qualities to elevate it above, or even help tell it apart from any other mediocre straight-to-DVD zombie flick. The horror community has suffered a sad and sudden loss with the death of Richard Gladman, founder of the Classic Horror Campaign and editor/publisher of Space Monsters. Richard was battling cancer and undergoing treatment when he passed away in hospital at the weekend. Perhaps best known to some by his online username, Cyberschizoid, Richard was, amongst many other things, a huge advocate of the UK horror scene; he founded the Classic Horror Campaign, which sought to reintroduce vintage horror double bills to BBC 2, and Frighten Brighton, an annual horror film festival based in, you’ve guessed it, Brighton. 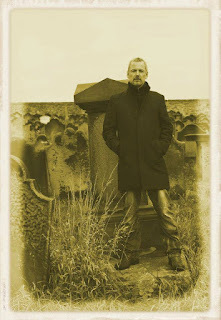 A life-long fan of horror and sci-fi cinema, Richard contributed to myriad print publications such as Shock Horror, Scream and Rue Morgue, as well as many online publications like Haunted and Spooky Isles, and he hosted various film screenings in London, Manchester and Brighton.